Pleasant service with a wonderful view of the surrounding Laurel Highlands and the 18th Fairway. Serving finger foods, sandwiches and salads daily. Open daily at 11:30 a.m. from April 15, 2019 through October, 2019. 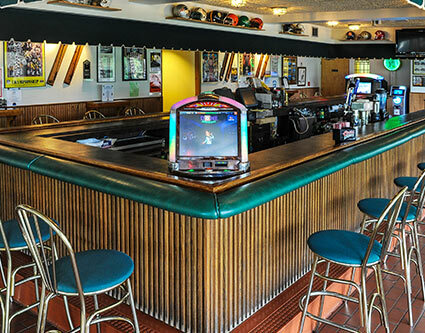 At the Club Pub, we offer a pleasant service with a wonderful view of the surrounding Laurel Highlands and the 18th Fairway. Our menu serves a variety of finger foods, sandwiches, and salads. Hours of operation are subject to change. Our facilities are not always available during these hours; please call 724-529-7543 the day you plan to visit Linden Hall.